Viknesh Vijayenthiran June 29, 2012 Comment Now! 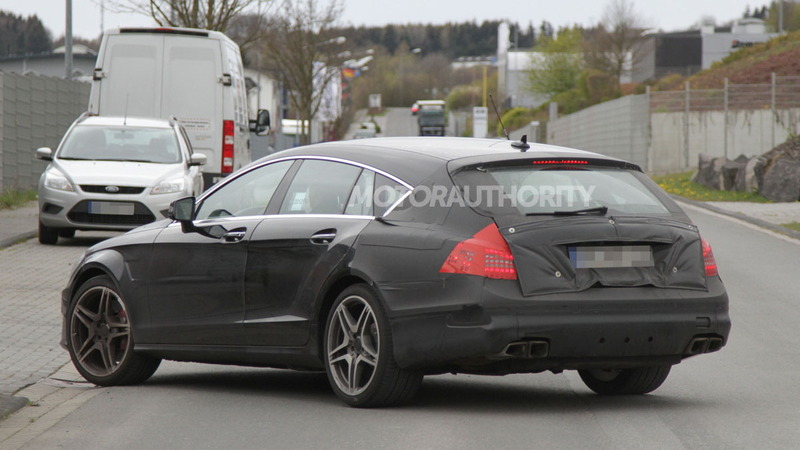 Following the reveal of the new 2013 Mercedes-Benz CLS Shooting Brake earlier today, new images of a prototype for the high-performance AMG variant have also surfaced. As expected, the AMG variant, which is almost certain to be called a CLS63 AMG Shooting Brake, looks almost identical to its more mundane cousin, though there are some subtle differences to tell them apart. The key difference are sportier bumpers on the AMG variant, which also features enlarged intakes to feed ample supplies of air to its engine and keep its brakes cool. Bigger wheels and tires also allude at the performance potential of the car. We expect the high-performance CLS63 AMG Shooting Brake model complete with AMG’s latest twin-turbocharged 5.5-liter V-8 channeling something around 525 horsepower and 516 pound-feet of torque through the rear wheels. An optional Performance Package should up the output to 550 horsepower and 590 pound-feet of stump-pulling torque. In the regular four-door coupe variant, this powerplant is good for 0-60 mph runs in the low 4.0-second bracket and limited top speed of 155 mph. 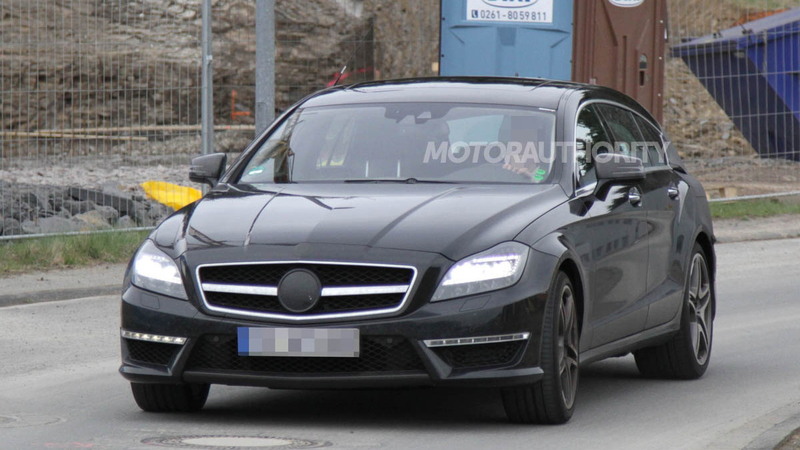 Expect similar performance with the Shooting Brake bodystyle. 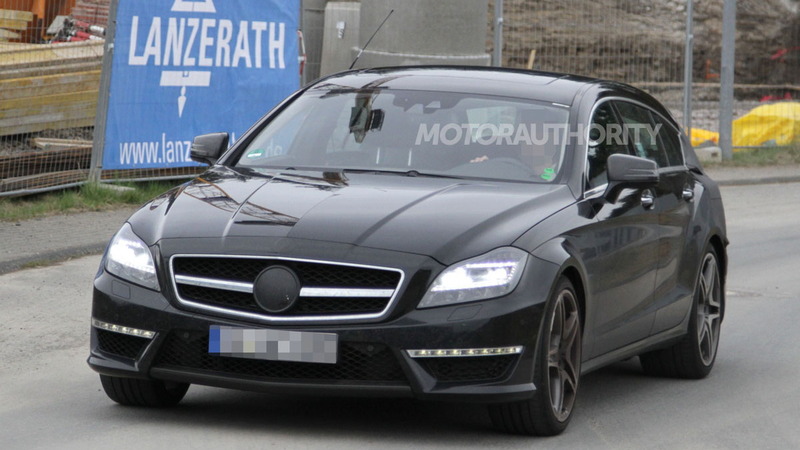 While Mercedes-Benz is yet to confirm if its new CLS Shooting Brake will be sold in the U.S., we should know more details soon as the car is scheduled to make its official world debut at the 2012 Paris Auto Show this September. 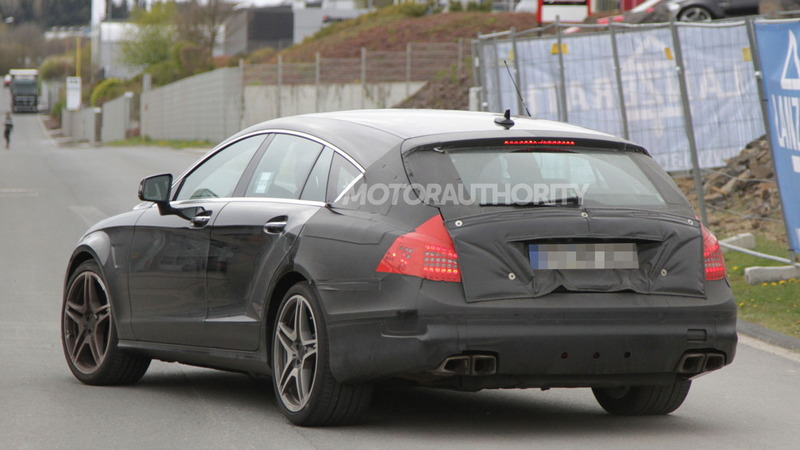 The high-performance CLS63 AMG Shooting Brake should be revealed shortly after.